The #1 Consumer Rated Gutter Guard on the Market Today! 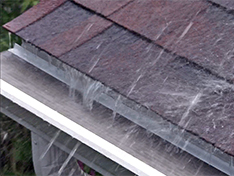 You may not realize it, but an unprotected gutter system will routinely clog with dirt, leaves and debris, which impedes the flow of rainwater away from your home and will eventually lead to costly repairs. 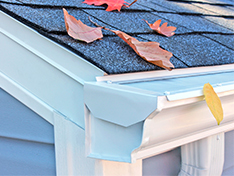 LeafFilter™ Gutter Guards will protect you and your home from serious and costly damage caused by clogged gutters. You’ll never again have to climb the ladder to clean out clogged gutters or deal with those unexpected repair projects that cost thousands of dollars — and always seem to come out of nowhere at the worst possible moment. 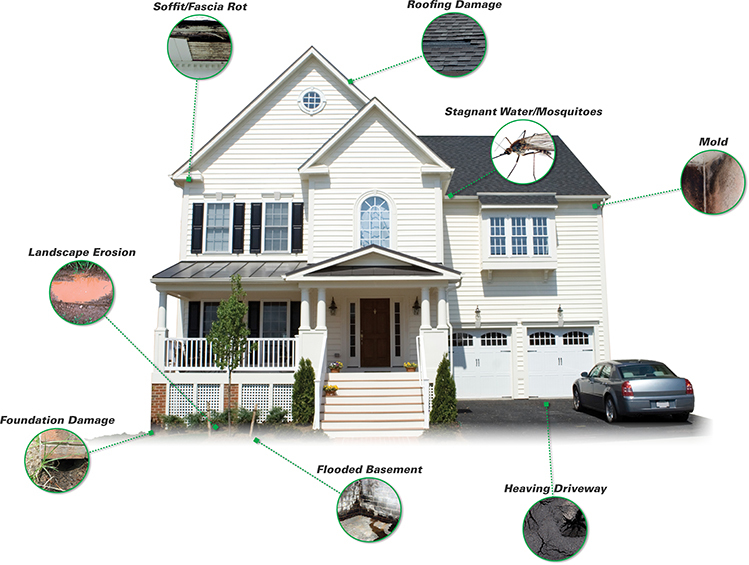 Click or tap on the circles to learn more about the different areas of your house that are prone to damage without gutter guards. Bottom Line: Any debris that makes it into the gutter system will greatly inhibit the flow of rainwater away from the home, causing major problems. Other gutter protection systems are constructed with a hole, gap, opening or louver – so you can expect debris to make its way into your gutters. LeafFilter features a micromesh filter, with no holes, gaps or openings, nothing but water will ever enter your LeafFilter-protected gutters. Our system is patent-protected and is the ONLY micro-mesh gutter protection on the market that does NOT disturb your roof or shingles in any way. 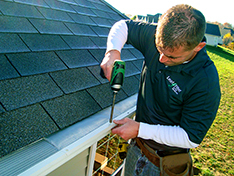 It simply installs over your existing gutters, saving you time and money. 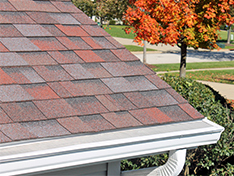 Other micro-mesh systems need to be installed by peeling up your first row of shingles, which can break the protective seal and cause water damage to your home. And nothing will adhere to our micro-mesh screen. It is made of a revolutionary surgical-grade stainless steel, the same material used in heart stents, and is guaranteed never to rust or corrode. Nothing But Water Gets in, Guaranteed! If you are experiencing any of the issues mentioned above, or are just unsure of whether or not gutter guards are right for you, don’t hesitate to reach out to us to schedule a FREE gutter inspection and LeafFilter™ estimate. Additionally, you’ll receive a FREE $250 off coupon that you can use towards your purchase of LeafFilter. Don’t worry, it never expires and our estimates are good for a FULL Year! During the inspection and estimate, we’ll take a look at your gutters, foundation and entire exterior of your home to make sure your gutter system is working properly. If it’s not, we’ll point out the problem areas and show you how and if LeafFilter can help. We’ve installed over 25 Million feet of LeafFilter on homes all across the country. Here at LeafFilter™, we believe quality is most important. That’s why we won’t install LeafFilter™ gutter guards on your home unless we’re 100% confident they will work 100% of the time.